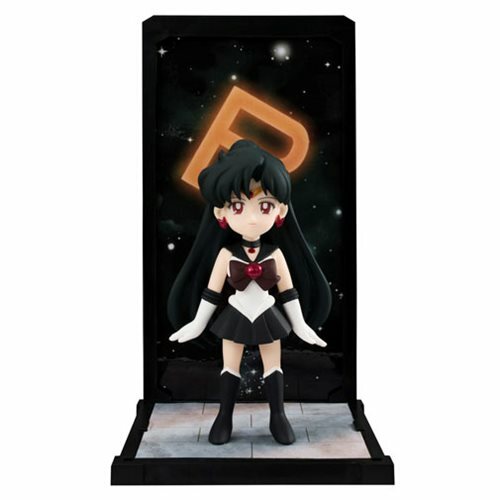 Sailor Pluto, stationed at the Door of Space-Time, joins the Tamashii Buddies Sailor Moon lineup! These fixed-format figures with distinctive backdrops are designed to display beautifully together. Display them alongside the separately sold Sailor Uranus and Sailor Neptune to expand your Sailor Moon universe! Each figure comes with specialty stand, backdrop, and stacking support frame. Measures approximately 3 1/2-inches tall. Ages 15 and up.